Apportionment – When cremated remains are divided up between friends and loved ones and, perhaps, for spreading in a specific location. 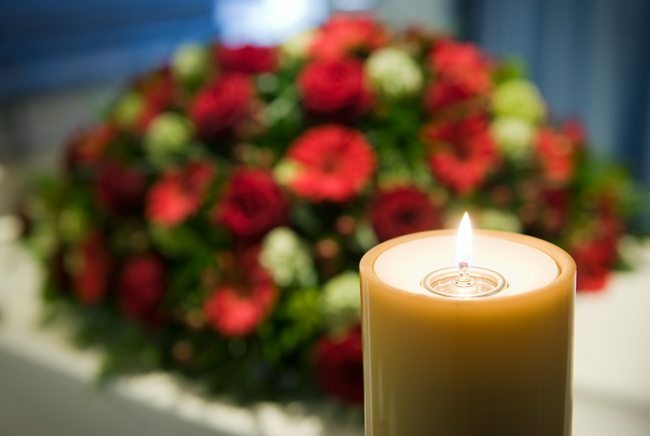 Arrangement conference – The meeting between the family and a funeral director to discuss final arrangements. The conference is usually held in an arrangement room, but can also be held at the hospital or at home. At need – Arrangements made at the time of death (as opposed to preplanned arrangements). Burial certificate or permit – A legal document issued by city and town clerks, authorizing burial, cremation or entombment. Casket – Also called a coffin, a container made of wood, metal or plastic that holds the deceased’s body. Under federal law, funeral homes are required to accept caskets that consumers have purchased from another source or that you have built yourself. Certified death certificate – Usually prepared by the funeral home; a legal document filed with the state to verify an individual’s death. A valid death certificate is needed for a family to make insurance claims and collect other death benefits. Columbarium – A structure that’s similar to a mausoleum, but holds cremains rather than bodies. Committal Service – Also known as a graveside service; the final part of the funeral service when the deceased is buried in the ground or entombed in a mausoleum. Cosmetology – The use of cosmetics to give the deceased a more lifelike appearance, especially when there will be a visitation. Crypt – A vault or chamber in a mausoleum that holds the deceased’s remains. Embalming – A method of preserving and sanitizing the deceased. This is done by injecting an antiseptic preservative through the circulatory system. Eulogy – A speech of praise given to honor the deceased. Family Car – The vehicle, often a limousine, dedicated to carrying the family to the service and burial. Family room – A separate room in the funeral home for the family of the deceased to have some privacy. Full couch – A casket that is completely open, showing the deceased from head to toe; a half couch is a casket that only opens halfway, showing the deceased from head to waist. Funeral service – The ceremony, religious or otherwise, that marks the death of an individual. Grave liner – A container placed in the ground to keep the walls of the grave from caving in. The casket is lowered into the liner at burial. A vault is similar, but more substantial. A grave liner only covers the top and sides of a casket, while a vault surrounds the casket. Inter – To bury the body of the deceased. Inurment – To place cremains into an urn. Mausoleum – An aboveground structure used for placement of casketed remains. Memorial service – A ceremony held to honor the memory of the deceased; often held without remains. Next-of-kin – A person who is the nearest relative of the deceased and who is responsible for making decisions about final arrangements. Pallbearers – A group of individuals who carry the casket. Pallbearers are often friends and relatives of the deceased. Preplanning – When an individual makes his or her own final arrangements ahead of time. Preplanning doesn’t necessarily require prepayment. Private service – A service that is by invitation only. Procession – Also known as a cortege; a line of vehicles that travels between the funeral home or church and the cemetery. Register – A book in which mourners can record their names at the funeral home when they pay their respects to the deceased. Reposing room – Where the deceased’s body lies in the casket until the funeral service. Viewing – Also known as a viewing; a period of time during which the deceased’s body is displayed at the funeral home, so friends and family can visit and pay respects. If you would like more information about funeral or cremation arrangements, we’ll be happy to send you our free brochure and planning guide.